Anam prides herself on meticulous case preparation, excellent attention to detail and a pragmatic approach. Anam is thorough and diligent in her advice to both lay and professional clients, keeping at the forefront of her mind, the need for clients to be fully prepared for court proceedings. 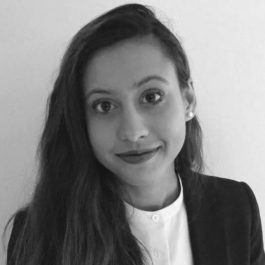 Prior to joining Lincoln House Chambers in May 2018, Anam practised a wide variety of Civil Law on the Midlands’ Circuit before spending a year at a specialist Crime Set in London. Anam is therefore a well-rounded Advocate. She employs a common-sense approach whilst being tenacious on her feet. In gaining experience prior to the Bar, Anam spent time in Indiana, North America on a Criminal Justice Internship, which allowed her to draw comparisons between the two legal systems. Anam gained an understanding of American law enforcement through spending time with the sheriffs’ department. Anam has volunteered in a number of capacities, all of which enabled her to work with individuals from disadvantaged backgrounds and those in unfavourable situations. She represented individuals at the Social Security Tribunal for appeals against benefit entitlement decisions, on behalf of the Citizens Advice Bureau. Anam further volunteered as a mentor for the Probation Service where she assisted hearing-impaired individuals to learn to read and write English, so they could progress to further education. Anam subsequently acted as a mentor for a charity which focused on the empowerment of young girls in order to overcome issues of low self-esteem, sexual exploitation and bullying. Anam’s voluntary work has extended to the delivery of humanitarian aid in Tanzania, a project which required in-depth research into methods of malaria prevention.